Keith Coventry, Spectrum Jesus 2009 (oil on canvas, wood and glass 68.6 x 58 cm). 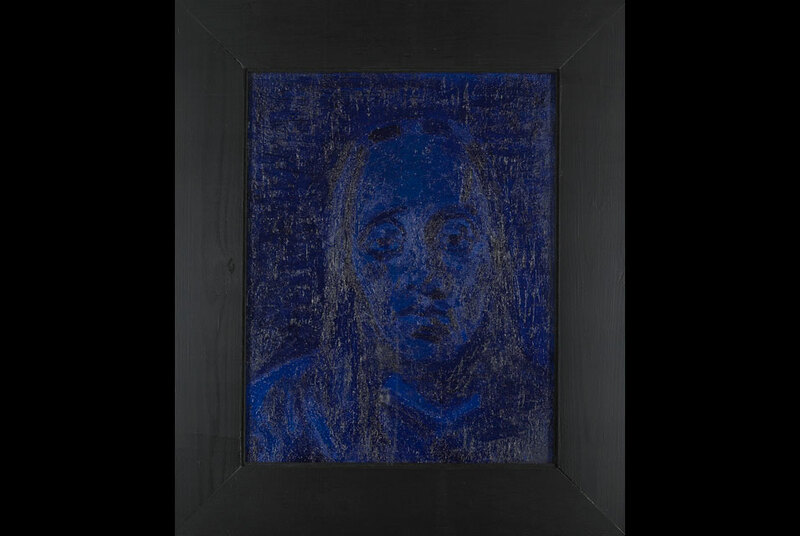 LIVERPOOL.- A painting inspired by the work of one of the most ingenious art forgers of the 20th century, is the £25,000 first prize winner of the 26th John Moores Painting Prize. Spectrum Jesus by Keith Coventry has been awarded first place in the competition which this year attracted almost 3,000 entrants. The Burnley-born artist has earned first prize with a painting which judge, Sir Norman Rosenthal, described as full of ambiguity and contradictions. Depicting the face of Jesus Christ, Spectrum Jesus is based on Han van Meegeren's notorious forgeries of the 17th century Dutch master Johannes Vermeer. The painting is a blue monochromatic image, part of a series rendered in the palette and style of the German Expressionist Emil Nolde. With help from the Art Fund  the UK s national fundraising charity for works of art  and the John Moores Liverpool Exhibition Trust, Spectrum Jesus has also been acquired for the Walker Art Gallery s permanent collections. The painting will now join the gallerys impressive collection of British painting. Director of art galleries Reyahn King said: "We are delighted that Keith Coventry is joining the ranks of esteemed artists in our collection of previous John Moores prizewinners. Spectrum Jesus is a fascinating painting by an artist of intellectual depth. I am thrilled that we can add Coventry s work to a collection which charts the progress and development of the last 53 years of British painting. We are extremely grateful to the Art Fund and the John Moores Liverpool Exhibition Trust for enabling us to keep this collection vital and relevant with the inclusion of this year's worthy winner." Spectrum Jesus is part of the artists Repressionism series. The painting was originally displayed at the London gallery, Haunch of Venison in 2009, alongside a number of others, creating a wide colour spectrum. This is the second occasion that Vermeer has been linked to the winner of John Moores Painting Prize. Martin Greenland won first prize in 2006 with Before Vermeers Clouds, an invented landscape which echoes the sense of stability and peace in Vemeer's work.